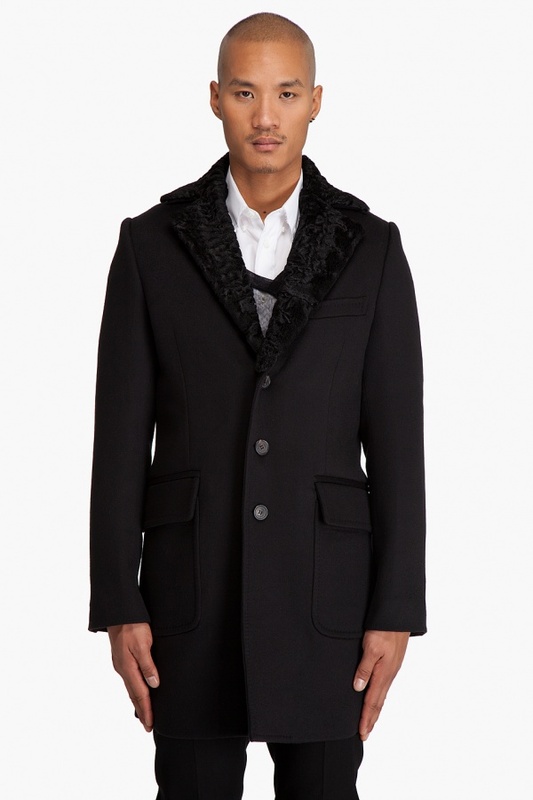 DSquared 2 has designed this single breasted long cashmere coat in black. The elegant jacket features a tonal fur covered notched lapel collar, flap pockets at the hips and three buttons at the front. Made in Italy, the fully-lined and luxurious coat is available online now. This entry was posted in Outerwear, Tops and tagged Italy. Bookmark the permalink.